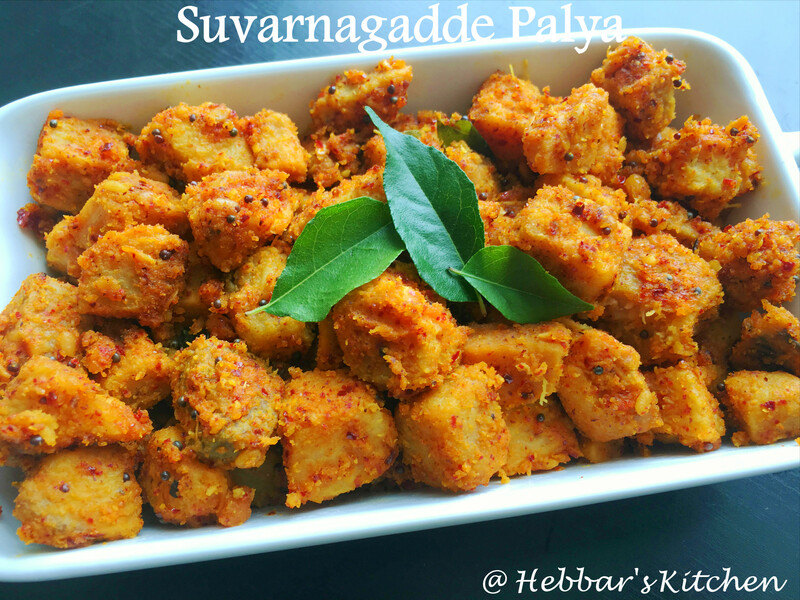 suvarnagadde palya | suran stir fry | elephant yam stir fry with detailed photo recipe. suran stir fry is amazing side dish for rice when served with sambar or rasam. 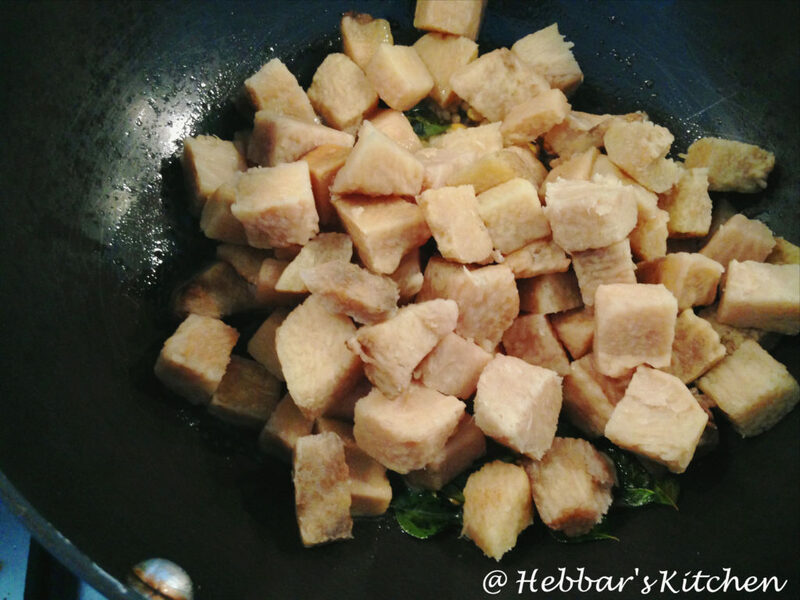 suvarnagadde palya | suran stir fry | elephant yam stir fry with step by step photo recipe. 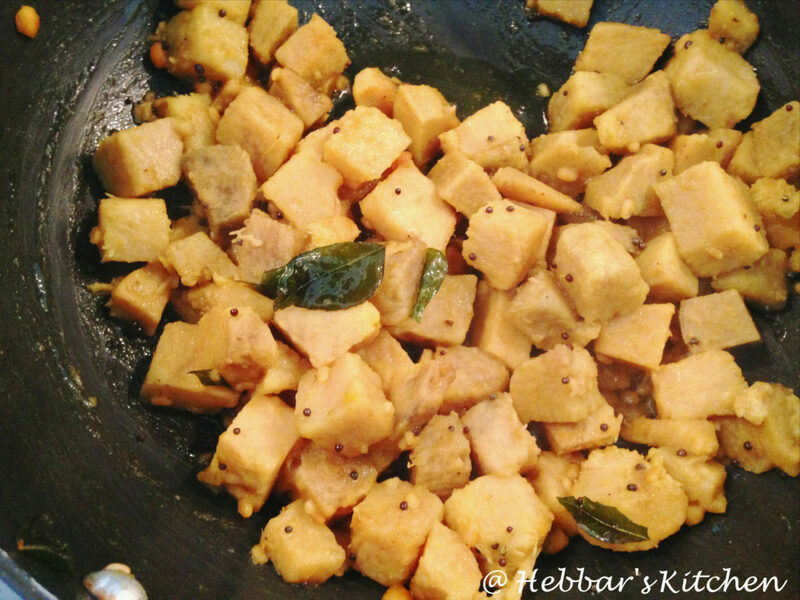 elephant yam stir fry is an tasty and healthy palya in southern india. 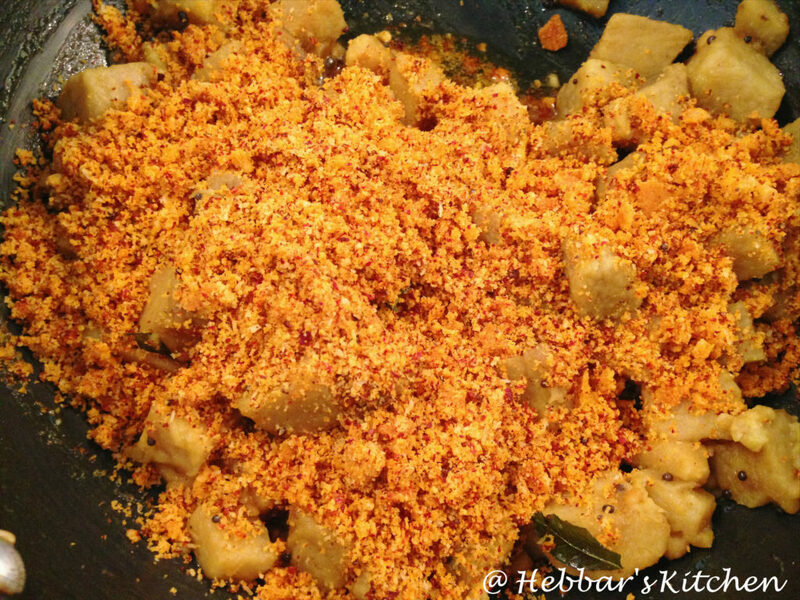 this side dish goes very well with the rice when served with sambar or rasam. this stir fry recipe is common, instant and easy dish in many south indian house holds. 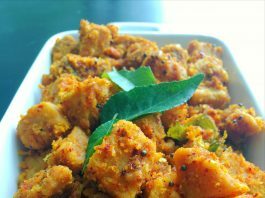 this is the common recipe in udupi and my mother always prepare this for either lunch or dinner. i learnt this recipe long back from her but i wasn’t serous about this recipe to publish in my blog. however, my husband reminded me about posting in the blog and spread the amazing taste of this recipe. 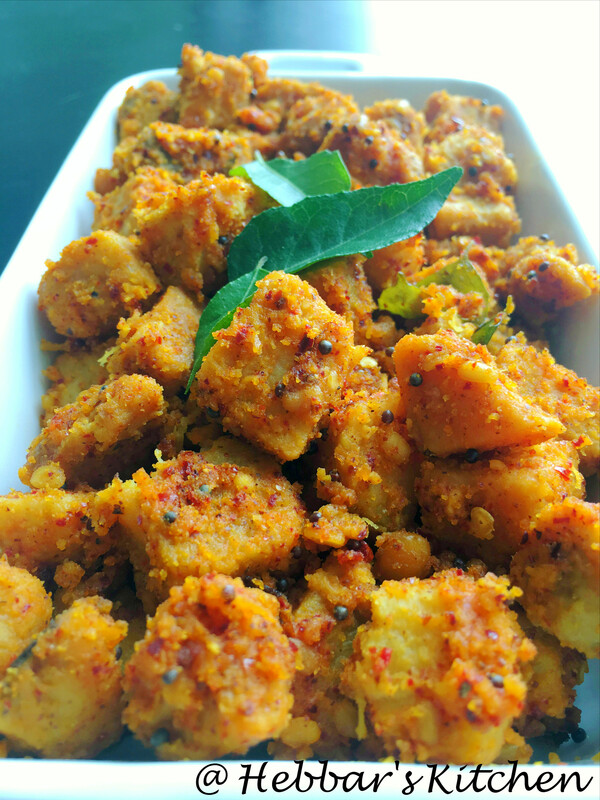 so today i am sharing you this simple healthy recipe of suvarnagadde. 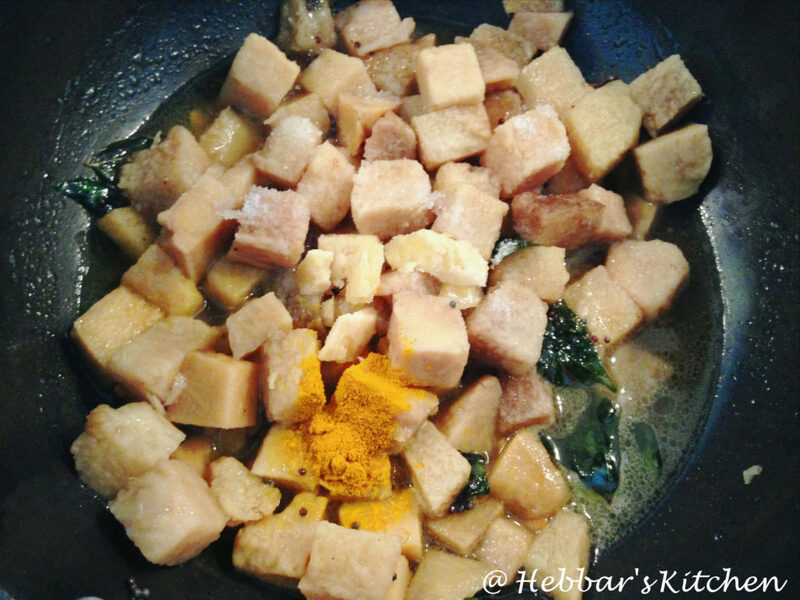 before touching on the recipe, i want highlight the health benefits of elephant yam. suran is rich in proteins and carbohydrates which makes this a complete meal. it also lowers the bad cholesterol from our body and is very good for asthma patients. furthermore, it is rich in fibre, hence it makes you feel full and reduces your weight. i have posted several other curry recipes. check out my dahi bhindi dal makhani, dum aloo, paneer kadai, malai kofta recipe, rajma masala recipe, aloo gobi, paneer burji, palak paner, stuffed brinjal, aloo bhaji. 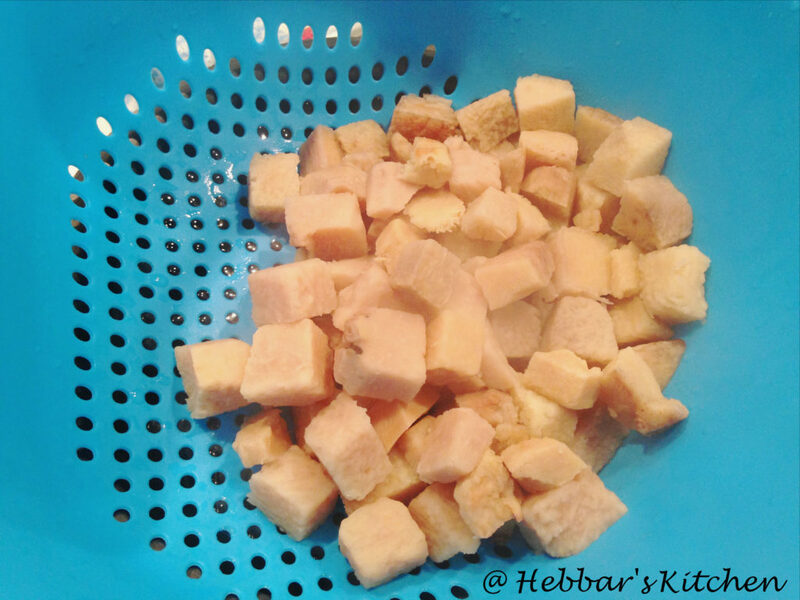 boil the yam in plain water till it is cooked ¾ . it takes approximately 10 minutes to cook on medium flame. soak the tamarind in warm water for few minutes and extract the juice. once the yam is cooked almost, drain off the water. in a cooking pan, add a 1 tsp of oil and all the seasoning ingredients. once the mustard seeds splutter add cooked yam. 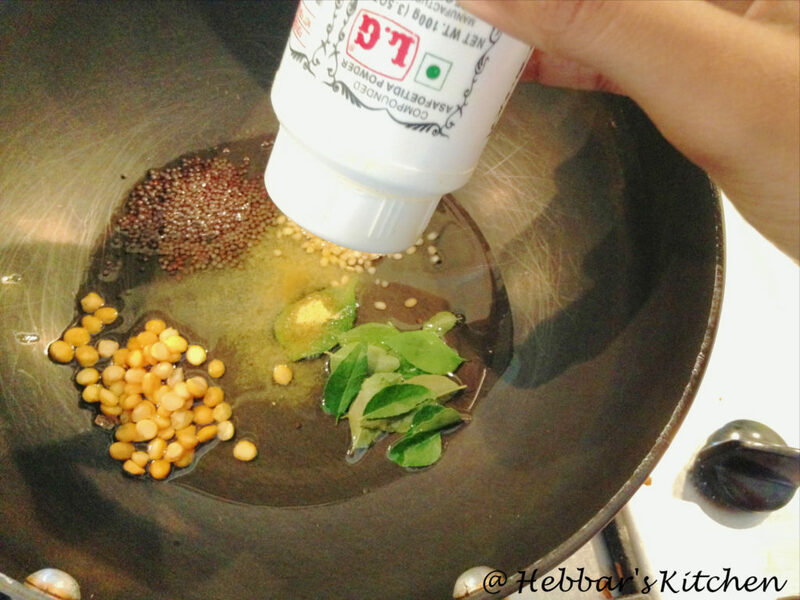 now add jaggery, turmeric powder and tamarind extract to the the kadai and mix well. cover and cook on a low flame till all the tamarind extract is absorbed well. 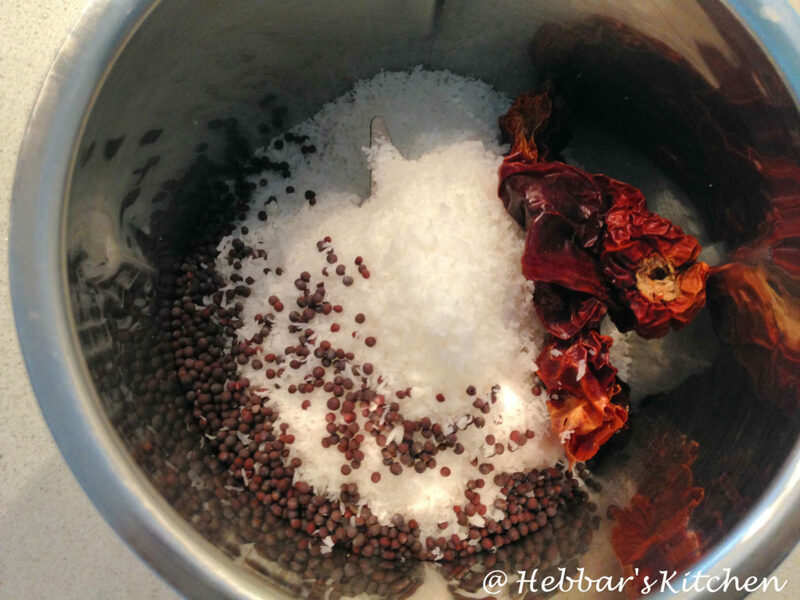 meanwhile, coarsely grind coconut, red chilies along with a tbsp of mustard seeds. do not add any water, the masala should be dry. when the suvarnagadde are well cooked and it has absorbed the tamarind extract completely. it is time to add the ground masala and mix well. stir for some time and turn off the flame. suvarnagadde palya is ready to be served. meanwhile, coarsely grind coconut, red chiiles along with a tbsp of mustard seeds. do not add any water, the masala should be dry. when the suvarnagadde are well cooked and it has absorbed the tamrind extract completely. it is time to add the ground masala and mix well. stir for some time and turn off the flame. make sure you cook the suran very well. otherwise, you may have the itchiness in your throat. at the same time, do not over cook to make it mushy. fresh suvarnagadde is preferred, but frozen one would also deliver the same. 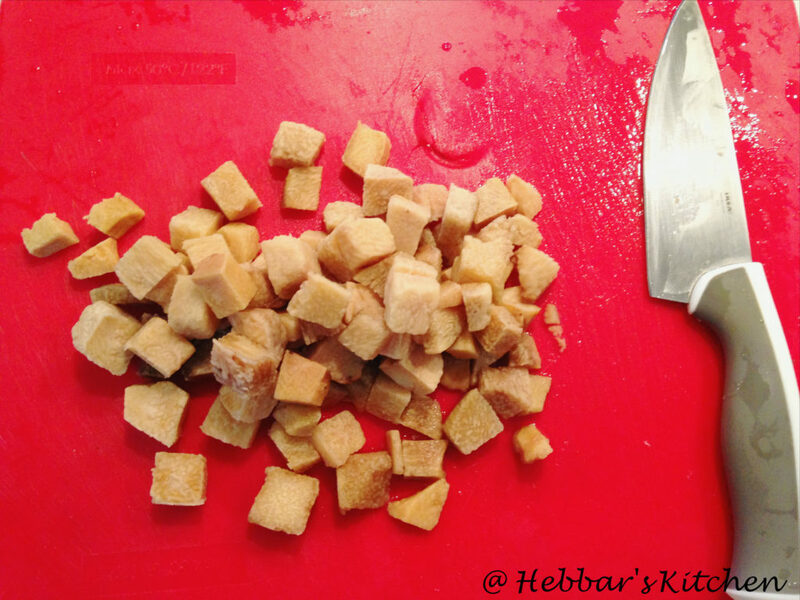 Hi Mrs hebbar’s… I am getting itching while chopping elephant yam. How do I avoid this? perhaps you can soak it for 2-3 mins in hot water may avoid this. thanks a lot for those nice comments 🙂 yes you can add it certainly. Simple but special recipees.thanks to hebbars kitchen .com for correct method of preparation. thanks a lot for those wonderful comments. i really appreciate it. A million thanks for posting this infomration.